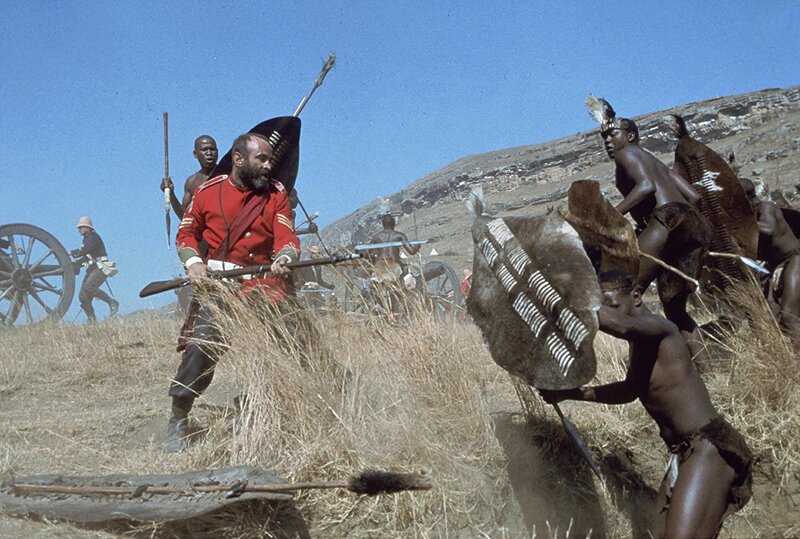 A historical war movie, Zulu Dawn recounts the story of the Battle of Isandlwana at the start of the Anglo-Zulu War. The film suffers from a slow start but picks up some steam in its final third. It's January 1879 in Natal, British South Africa. High Commissioner Sir Henry Bartle Frere (John Mills) contradicts Royal guidance and issues an ultimatum to the powerful Zulu King Cetshwayo (Simon Sabela), insisting that the King should adhere to British laws. Cetshwayo predictably refuses, triggering a declaration of war. The British forces are under the command of the arrogant Lieutenant General Lord Chelmsford (Peter O'Toole). 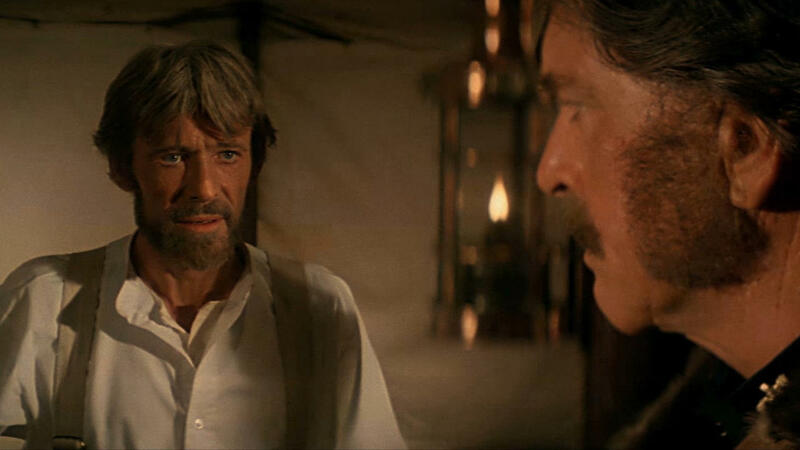 The other leaders include Colonel Durnford (Burt Lancaster), commander of a large force of the mounted Natal Native Contingent, and young adventurer Lieutenant William Vereker (Simon Ward), recently attached to Durnford's forces. Chelmsford crosses the Buffalo River into Zulu territory with a large force and plenty of supplies. Initially encountering little resistance, Chelmsford leaves the main camp at Isandlwana lightly defended, splits his army and goes looking for enemy forces. The Zulu secretly amass 20,000 warriors and launch a surprise attack on the Isandlwana camp, where about 1,800 defenders have to fight for their lives. Directed by Douglas Hickox and written by Cy Endfield (adapting his book), Zulu Dawn is a prequel to 1964's Zulu, which picked up the next day's events with the famous British defence of Rorke's Drift. In contrast the Battle of Isandlwana was an ignominious defeat for the British, the result of a modern army's arrogance and an overwhelming enemy numerical advantage. Once the shooting starts Hickox does a good job of recreating the battle, which occupies the final 30 minutes of the film. The field tactics are coherent, the British errors are brought to the fore, and the gruesome action registers, as the fighting eventually defaults to close quarters combat. A few acts of heroism (mostly from the British side) punctuate the fighting, and the growing realization for key characters that this may very well be the end highlights the battle's outcome. Unfortunately, Hickox has to find approximately 85 minutes of build-up before the film gets to the battle, and here he is much less successful. Zulu Dawn leaves behind the sense of misplaced ambition to create a relatively long military epic, and Hickox struggles for material to fill the front-end running time, resulting in a flabby and boring experience. When afforded the opportunity, Endfield's script makes all the wrong choices. Instead of focusing on a few characters and zooming in on context, too much time is spent on pomp and ceremony, both in Zulu rituals and British garden parties. Too many characters clutter the British command structure, and none of the them emerge as compelling leaders worth knowing. Then the crossing of the Buffalo River takes forever, with endless shots of men, horses, wagons and supplies sloshing through the mud from shore to shore. Some indelible scenes do survive, including Lord Chelmsford out in the field, supposedly looking for the enemy, insisting on taking time out for a formal meal complete with servers, a white tablecloth and silver cutlery, and refusing to accept that his base camp is the target of a devastating imminent attack. Durnford's last stand is another well-executed memorable moment. In addition to Peter O'Toole, Simon Ward and John Mills, the cast features a who's who of British acting royalty, including the likes of Bob Hoskins, Denholm Elliott, Christopher Cazenove, Peter Vaughan, Ronald Lacey, and Ronald Pickup. Burt Lancaster, doubtless in the film to attract larger American and international audiences, struggles with an on-again off-again Irish accent. The film was shot in South Africa, with a troubled production history featuring various accusations of unpaid bills. An adequate recreation of an important battle, Zulu Dawn is otherwise a cinematic opportunity missed.